Toronto Men’s Fashion Week (TOM*) is the eighth men’s fashion week in the world. TOM* is the most influential platform in Canada for menswear designers and brands. In the winter of 2014, superfish was approached to take on the monumental task of launching TOM*FW — the official toronto men’s fashion week, set to take place in august of that same year. TOM*, the first of its kind in Canada, is a launchpad and platform for established and up-and-coming menswear designers from Canada and around the world. Superfish’s task was to create awareness around the event; to forge relationships with retailers, modelling agencies, sponsors, venues and to drive ticket sales for the event. 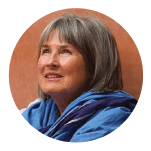 Saturate the city with all things TOM*, and make everyone feel like they were a part of something new and special — we called this campaign – I AM TOM*. 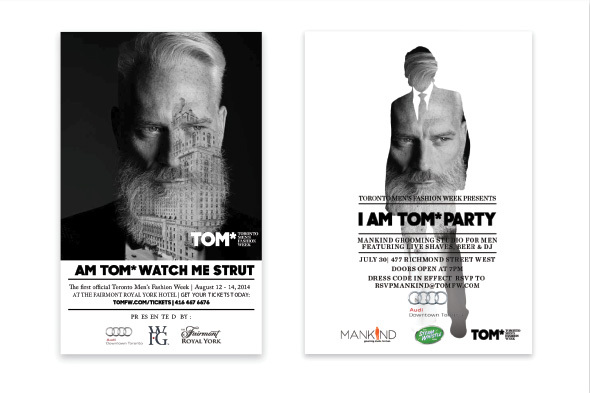 From creative dry cleaner hanger wraps, coffee cup sleeves and retail mirror decals, to a 40+ male model guerilla model walk and walking billboards at World Pride 2014 — the TOM* brand was made to be ubiquitous. The result — every show was sold out, the press embraced us and now TOM* is partially funded by the city of Toronto. Working with Superfish has really raised the value, recognition and impact of our brand enormously these past few years of collaboration. They work seamlessly alongside our team and always deliver. For us, that’s been a multi-platform campaign of branding, design, web, social media, photography, video, and more. They’re smart, young, talented and affordable and I would highly recommend them. Receive our monthly digest of tips, tools, ideas, and resources to keep your product or lifestyle brand looking fresh.